You would look young, actractive & confident with white teeth. Did you know that about 18% of people do not smile on being photographed? The reason is yellow teeth as it is obvious that people are embarrassed of displaying by flashing that smile. Who does not want those perfect pearl whites? We all do and following a dental hygiene is a must for that. Owing to an increased intake of tea, coffee, smoking, genetics, wine or alcohol, your teeth start losing its natural enamel. If you don’t want to lose this, then you must do something to protect it. This is what we are going to discuss today in this post today, how you can whiten teeth with organic things in an effective way. Did you know that about 18% of people do not smile on being photographed? The reason is yellow teeth as it is obvious that people are embarrassed of displaying by flashing that smile. Who does not want those perfect pearl whites? We all do and following a dental hygiene is a must for that. Owing to an increased intake of tea, coffee, smoking, genetics, wine or alcohol, your teeth start losing its natural enamel. If you don’t want to lose this, then you must do something to protect it. 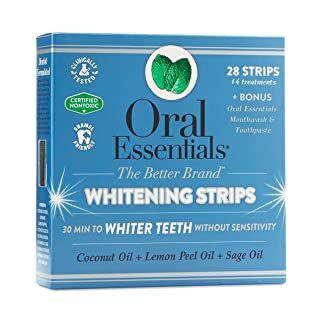 This is what we are going to discuss today in this post today, how you can whiten teeth with organic things in an effective way. Why we should use organic product to whiten teeth? There are many reasons why you should use organic products to whiten teeth. Sharing one or two is not going to sound convincing, so we have a small list that you can go through. Does that make teeth white? Yes, it does but you need to give it some time and we will talk about that in the next segment. 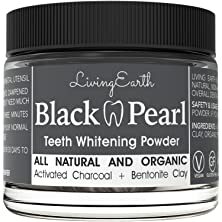 As mentioned these have proven records and organic methods like oil pulling (rinsing your mouth or applying coconut oil on your teeth), activated charcoal (brushing with the powder), brushing after meals and even rubbing strawberries on your teeth are something that we have heard or seen people try. Do you question these methods? How long to whiten teeth? Time may differ depending on the kind of stain you have on your teeth. However, what we can say is that you can expect to see some visible results within 1 to 2 weeks in general. Is there any organic method to avoid?Yes, just using lemon juice on your teeth, as we know that lemon is a great bleaching agent, but it is simply not good for teeth. Using lemon juice can create tiny holes in your teeth because the acid in it is very strong. This can wear your teeth and cause cavity in your teeth. You can start using it in small amount if you want and then observe the signs. This is why we urge you to leave it, as there is no need to experiment with it by any mean. Here are some of the top organic products that can help you put up a fight against yellow teeth. 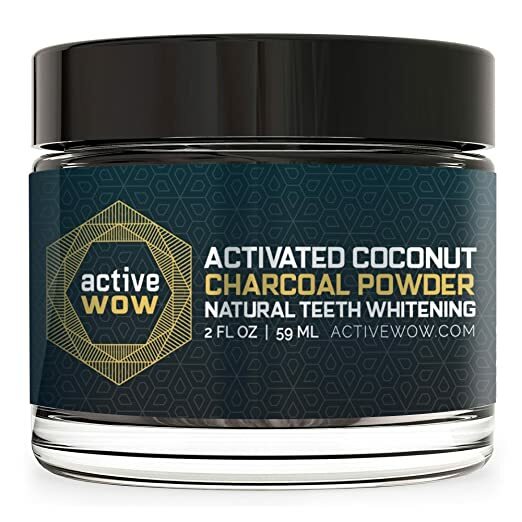 Active Wow is a well known brand in the teeth industry and this product comes as no surprise. 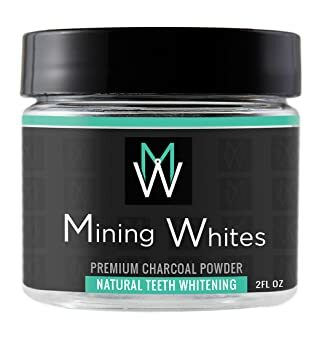 This charcoal powder teeth whitener is purely natural and is free of all the ills of a dental grade peroxides. It can take care of coffee, smoking and wine stains t name a few without causing you any harm. It’s made from natural resources that detoxifies and purifies your teeth. You can brush normally with this for 1 or 2 minutes and does not cause any sensitivity to your teeth. On other hand it may take longer to show results like any natural product and does not have any taste. 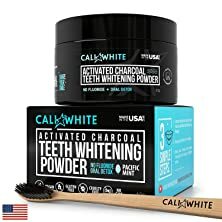 Cali White was founded in 2011 in California and ever since then, they have established them as a popular teeth whitener. They call this product as “Nature’s Answer,” it does not contain abrasive chemicals. Instead you can find organic coconut, peppermint, baking soda and stevia. It contains 6 months of supply for couples and that makes it worth a try. Normally it starts to show results within 7 days. It tastes good because of the peppermint and stevia. The most appealing thing is that it comes with a bamboo toothbrush. This Made in the USA product gives 100% satisfaction guaranteed with a refund promise. It heard that it may leave a black outline under nails and around the gums. The Black Pearl is made from non toxic and organic products that are based on a strong formula. 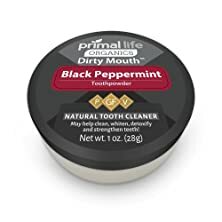 It pay attentions to your oral care by blending spices and herbs like peppermint, clove and cinnamon with activated charcoal to give you the best of the lot. Bottom line is, it whitens your teeth without using any bleaching chemicals. It is not tested on animals and purely vegan by nature. After using it starts showing difference within a matter of few days and detoxifies as well as whitens your teeth. The herbs add antibacterial properties to this product. The presence of calcium clay re-mineralize enamel and your teeth. But for continuous usage it will turn your toothbrush black. This revolutionary teeth whitening powder has an illuminating luster that can remove up to 80% of your surface stains. 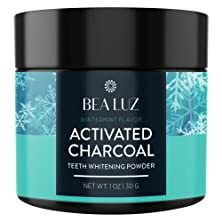 This activated charcoal has the goodness of Bentonite clay that re-mineralizes weak enamel. Moreover, it relives you of any sensitivity and adjusts your pH balance in your mouth. What more can you expect after seeing immediate results. It has an advanced foaming formula, ingredients like orange has antiseptic qualities and coconut simply helps you maintain healthy oral hygiene. The jar has adequate content to last long. The mint taste is not strong enough and you need to be careful while brushing against lining your gums. The best part about these organic teeth whiteners is that they bring you side effects. Likewise, this Bea Luz is free of bleach, fluoride and other such harmful chemicals. 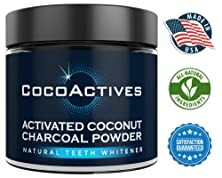 In fact, it is made from natural products like activated charcoal from coconut that gets rid of impurities from your teeth. Other ingredients like wintermint that is antioxidant, sorbitol to retain moisture, stevia a sweetner (free of sugar) and sodium bicarbonate with anti-microbial properties. It uses premium formula to whiten teeth and good for sensitive teeth too. The wintermint ensures you have fresh breath all through the day. The good thing is that it has Money back guarantee with 100% satisfaction guarantee. 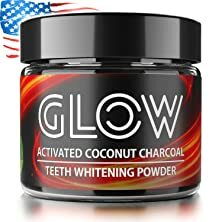 As the product claims, it is a natural teeth whitener for sure because it rejuvenates your mouth and does not cause irritation by any chance. 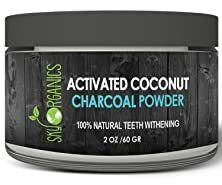 This ultra fine powder is made from organic coconut charcoal of premium quality that protects your teeth and gums. It can restore the whiteness and offer you with antiseptic as well as anti inflammatory properties. This means it saves you from paying visits to your dentist any day. It helps in maintaining the pH balance of your mouth and you will get fresh breath all through the day. It is recommended for all ages. It removes stains and does not allow plaque buildup. 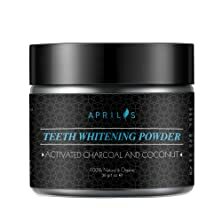 If treating teeth discoloration with organic products is your wish, then this powder is your forte. You get a dazzling smile with healthier gums and fresh breath. Elements like organic coconut activated charcoal, organic mint extract, organic orange peel extract and bentonite clay make it an authentic product. What makes it more interesting is that these ingredients are cold pressed, which means the nutrients are passed on to you in a natural way. You can easily say goodbye to teeth sensitivity with this powder which polishes teeth well. 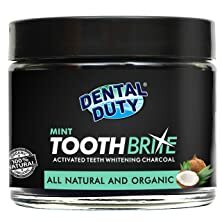 It is a cruelty free teeth whitener with No chemicals or GMO in activated charcoal. But it will gives you a dry feeling and that charcoal part is not easy to wash out of the mouth. 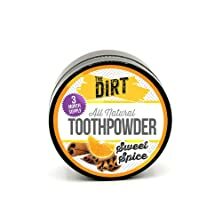 Yes, you heard it right, it is called Dirty Mouth and it is an organic powder. It could sound crazy, but the clay they use re-mineralizes your teeth and strengthens them to the core. The Black Peppermint powder is a blend of 3 earthen clays (Bentonite Clay, French Green Clay and White Kaolin Clay) with essentials oils and aluminum free baking soda. It gives a brighter looks of your teeth and mouth feels fresh. It is free of GMO and other such chemicals, polishes and detoxifies your teeth. 1 box can last you for 4 months in the least and it’s bit expensive. This ISO certified company produces nothing but quality teeth cleaners. 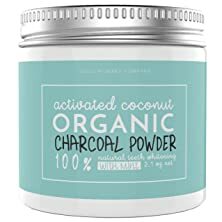 This is a vegan concoction of activated coconut charcoal that is very easy to use. This is an ideal product for those that do not want to use peroxide and other detrimental gels for whitening teeth. Get rid of wine, coffee, tea or cigarette stains from your teeth within a short span of time. It’s made from natural resources that make it safe and good for sensitive tooth. 100% satisfaction guaranteed or else you will get your money back. The jar can last for only 3 months in comparison to other brands that provide more content. 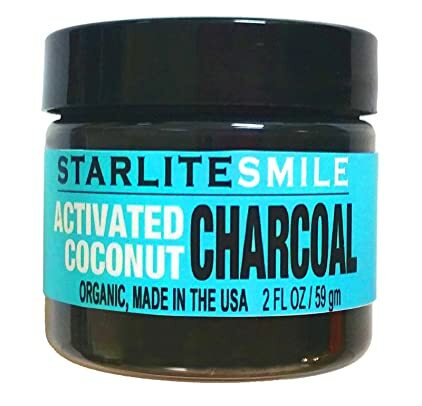 Boost your self confidence and flash your perfect pearls that lift your mood with Starlite Smile’s Coconut Charcoal Powder. It whitens your teeth, refreshes your breath and strengthens your gums. It made from coconut charcoal, sodium bicarbonate, bentonite clay, orange seed oil and has a minty flavor. Find out more about it. It detoxifies your mouth and eliminates all kinds of stains from your teeth. It’s made from organic products that makes it safe. It is available at an affordable price and you can expect quick results. The charcoal settles in the crown and that could be a worry for some. You get radiant teeth by using Mining Whites and the strength to fight gum diseases. Anticipate whiter teeth without using bleaching chemicals that strip you off the enamel. It is made from coconut charcoal and orange seed oil with a hint of mint flavor, to give you maximum protection. If you want to know more, then read this next part of our discussion with care. It gives you healthier gums and shinier teeth. It fight cavities and avoid damaging bleaching agents. This made in the USA product is 100% natural and safe for your teeth. But it may take time to show results as per your dental condition. Everyone deserves to smile bright and nice, but if your teeth are stained with drinking too much of tea, coffee, wine or smoking, then you must take charge. You should eradicate this discoloration at once and whiten your teeth with organic products to keep side effects at bay. 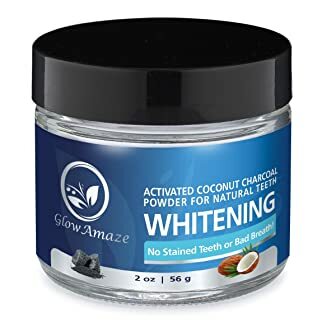 This GlowAmaze product is absolutely natural and safe for you to use. It provides complete protection to your teeth. This is a premium teeth cleaner that you can get an affordable price. It’s made from non-toxic materials with state of the art technique. It will whiten your teeth slowly and steadily but does not taste that much of the orange and the mint. This is an alternative teeth whitening system that allows you to enjoy a moment. No more hiding your smile as its silky smooth concoction works great on the discoloration of your teeth. It is chemical free and because of this, it supports sustainability. 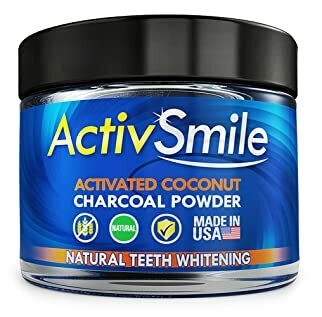 Made in the USA, this activated charcoal powder can give you the confidence to smile back again. It fights gingivitis, bad breath, bacteria and plaque, works fantastic on sensitive teeth and a great detoxifier. You can have satisfaction guaranteed or money back claims the product. It takes time to show some effects which could be tiresome for a few. Wondering, why did we enlist this product? This is an organic teeth whitening that has been clinically tested. It does not contain bleak chemicals and is composed with a Patent Pending Whitening Formula. It comprises of coconut oil, Dead Sea salt, lemon peel oil and sage oil that are safe on porcelain veneers and crowns as well. In other words, this is an enamel friendly whitener that serves it purpose well. Very handy at-home whitening strip and easy to use and peel. It does not take more than 30 minutes for action and good for sensitive teeth as well. The price is on higher side speaking in terms of a teeth whitener. 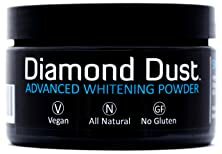 This Diamond Dust powder can whiten teeth with tea, coffee and smoking stains with ease. It consists of wintergreen, peppermint, rosemary and anise that suggests it is 100% safe. It is vegan and free of GMO, fluoride and bleach that may cause you further trouble. More or less, you get supply for 7 months with this purchase which makes it pretty economical. It fight stains, bad breath and plaque altogether. Activated charcoal has a lot of health benefits and rosemary has anti-inflammatory properties. Wintergreen eliminates bacterial growth inside your mouth but this causes more saliva which could be a concern for some. Conclusion: To be honest, using too much of artificial whiteners can also harm your natural teeth enamel. It is wise to opt for natural remedies for whitening teeth, as it is not only safe, but you can find the ingredients at hand as well. Most importantly, there is no guess work involved to whiten teeth with organic things. You know what you are using and what will be the outcome. This makes them 100% reliable and they are time tested. Go on try some that you feel is right for you!